The territory of Grenada is comprised to three islands. For the different countries in the eastern Caribbean Grenada attractions of some of the most loved. Grenada, Carriacou and Petit Martinque are the three islands the make up the territory. 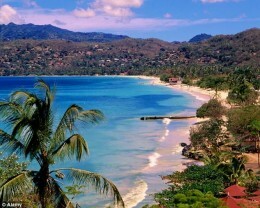 Grenada is also referred to as the Spice Isles. A unique feature of Grenada is that you will not find a building more that three stories height. This concept with created to preserve the natural beauty of the country with no building taller than a palm tree. The country is one of the main Eco-tourism hubs of the Caribbean. The territory of Grenada creates perfect islands of adventure for visitors who want to experience some beautiful tropical islands with friend local interactions. Some top sea adventures experience in Grenada are go whale watching, flying fish watching and dolphin watching. This is mainly done during the months of December to April. The whale watching adventure offers visitors some unique opportunities to see different species of whales. Some of the main species of whales that are usually spotted in the months of December to April in Grenada’s water are Humpbacks, Killer (Orca), Sperm and the Curvier whales. However, there are other whales that can be seen throughout the year such as Sperm, Pilot, Sei, Pygmy and the Bryde whales. Additionally, there are different species of dolphins one can see in Grenada’s waters. These species of dolphins include Spinners, Fraser, Common, and Bottlenose. Whale and dolphin watching creates amazing opportunities for visitors to enjoy the islands adventure on the sea. Additionally, other water sports activities such are scuba diving, snorkeling, fishing, sailing, yacht and boating racing are some of the other activities you can do in Grenada. There is the two miles long Grand Anse White sand beach which is another excellent Grenada attractions for visitors who want to enjoy the beach. Another of the unique Grenada attractions is the River Sallee and boiling springs. This is a fascinating set of hot springs with muddy and salt water. The largest spring is about 5 meters in circumference consisting mainly of muddy water. The smaller spring is consist salt water. This is located 1500 meters inland. The springs are mainly used for religious purpose, but visitors usually use them for making wishes. Another wonderful adventure in Grenada is the famous Mount Sinai. It is an excellent hiking adventure for those who take the challenge. Seeing a beautiful creator lake is the reward for the taking up this hiking challenge. There are also some beautiful lakes for to enjoy in Grenada. 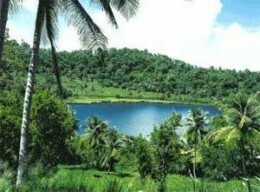 The Grand Etang Lake is located in the interior of Grenada. It offers visitors a unique Eco-tourism adventure with its natural beauty and its peaceful surroundings. The island of Carriacou has some excellent national parks. These include the Sandy Island Marine Park and the White Island Marine Park which provide excellent places for snorkeling and diving. Additionally, there are some lovely waterfalls in Grenada as well. Some of these waterfalls include Victoria Falls, Seven Sisters, Concord Falls and Annadale Falls. These can only the access by hiking and are another aspect of Grenada island of adventure attractions. Grenada attractions are more than just sun, sea and sand. The is a lovely island with many different types of adventure to enjoy. It is a destination that allow visitors to interact directly with its friendly people and nature. There are many lovely marine parks, hot spring, lakes and sailing adventure that forms part of the many Grenada attractions you will enjoy on a visit to the island.